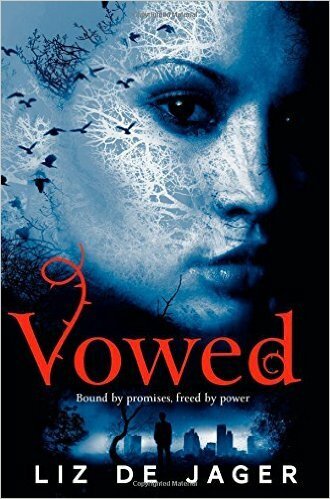 I thoroughly enjoyed the first book in this urban fantasy series about a family with particular skills who have appointed themselves as guardians to protect humanity from the beings of the Otherworld who make their way into our dimension and cause havoc -- see my review of Banished here. Would the second book manage to match the entertaining start to this series? Kit Blackhart must investigate why children are disappearing from a London estate. However, their parents, police and fae allies claim to know nothing. And as yet more children disappear, the pressure mounts. Luckily, or unluckily, government trainee Dante Alexander is helping Kit with the case. Yet just as her feelings towards him begin to thaw, his life falls apart. As Kit struggles to unravel his problems and dangerous secrets, she meets fae Prince Thorn in her dreams -- but their relationship is utterly forbidden. I immediately caught up with what was going on in Kit's world, with the strong first person narrative that bounces off the page. Kit's character is well portrayed and is completely convincing as a strong, opinionated teenager who has had a tough time. It's a balancing act -- too much misery and angst and the pacing would be compromised, while too much action without any consideration of what's been going on would give Kit all the depth of a pavement puddle. It's a trickier task to accomplish than de Jager makes it look, as I liked Kit's moments of introspection. There are a few scenes where the first person narration is interrupted by third-person viewpoint episodes featuring Thorn, the fae prince who featured in the first book. As Kit's personality is so strongly established throughout the book, I didn't find these sections jarring, and was interested to see what is going on with him. As in the first book, I had made some assumptions as to where the storyline would go -- only to suddenly find it had peeled off into quite another direction. This certainly was the case with Kit's investigative partner, Dante, who suddenly finds himself facing a sudden challenge while trying to track down the missing children, that is going to have some long-term ramifications. I am hoping that his relationship with Kit isn't going to develop into the dreaded triangle, as so far I've enjoyed their partnership and would prefer it to stay platonic. I also very much like the dynamic of Kit's role within a large, extended family which she doesn't know very well. While there are times when she enjoys being part of the Blackhart clan, it isn't all hearts and flowers finding yourself in the middle of a large family. I also very much liked the fact that Kit at times really misses her nan. Far too often within this sub-genre, people die in one book where there is a short grieving section -- and then for the rest of the series, the dead character is barely mentioned again. As for the ending -- well... I didn't see that one coming! However, I thought the case was going to be resolved, the conclusion was quite unexpected and thought-provoking. This gives the series real impetus -- and I'm now keen to get hold of the third book, Judged, and find out what happens next.